Nothing makes a bigger impact than combining your words with pictures, and LORR can create digital or print legal presentations and trial exhibits for use in trials and mediation. Our litigation support specialists in San Antonio, TX can help you get your trial exhibit or legal presentation services started today! Trial Exhibit Databases – one of the most powerful tools at your disposal is a digital database of your file, allowing any exhibit to be called up in seconds and displayed on a monitor. Your database is powered by SanctionII software, which can incorporate photographs, videos, transcripts, depositions, and pleadings. LORR will set up your account, build the database, input all materials, and train you in using the database or accompany you to trial to run it for you. PowerPoint – it’s much more than a digital slide show. PowerPoint gives you the ability to incorporate a variety of content into legal presentations, including text, audio, still images, and video, which can then be played and controlled from a laptop computer onto a monitor or projection screen. Trial Boards – we create the tried and tested trial boards, enlarging your images, charts, graphs, statements, or deposition excerpts and mounting them on foam-core boards. Video Editing – we can digitize your video and sync with your deposition transcript to give you visual tools that are powerful to a jury, and our editing can be done on the fly in the courtroom. 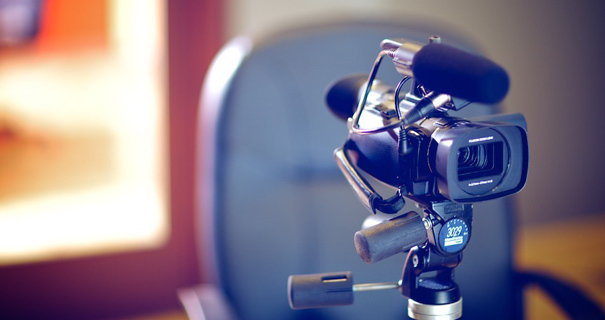 For the many advantages of a video deposition, click here. Not experienced with SanctionII or PowerPoint? Call us for a demonstration in your office in San Antonio, TX.